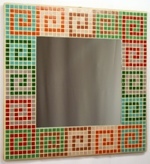 Colourful Mosaic Art - See our Tile Pictures or Design your Own! Colourful Mosaic Tile Art for Every Budget - We are helping to bring the beauty of mosaic art into more homes and offices than ever before, by offering a wide range of affordable designs available in a choice of formats and sizes. Design Online - Choose from the stunning designs in our Gallery, or upload your own photo or drawing, then adjust style and size, to make a custom mosaic tile design to decorate your wall or floor, indoor or outdoor. Mosaic Tile Art - pre-prepared for easy tiling. Your mosaic will be assembled into tile sheets before delivery to you. You (or your tiler) can then tile and grout the pre-prepared tile sheets, hundreds of tiles at a time, to swiftly recreate your design as a stunning, colourful mosaic. Framed Mosaic Wall Art - as a completed picture, fully tiled and grouted onto waterproof boards ready to hang on your wall, indoors or outdoors. Our made to order mosaics are suitable for Home and Garden, for commercial premises such as your Office, Hotel, Restaurant or Pub, and for all typical rooms, including your Kitchen, Bathroom, Bedroom, Living Room, Hallway, Wet Room or Swimming Pool. All designs can be scaled up to wall size, showing more detail, for a stunning tile wall mural or feature wall. Most can be hung or tiled on your wall as a picture, or embedded as a colourful feature within a plain tiled wall. With a wide variety of designs, all adjustable in size, there is a colourful mosaic to fit your splashback, shower, above your bath, floor, patio, swimming pool, path or stepping stone, or you can even design your own! Many of our designs are available for UK customers to buy online at our conventional UK shop at Kaamar.co.uk. 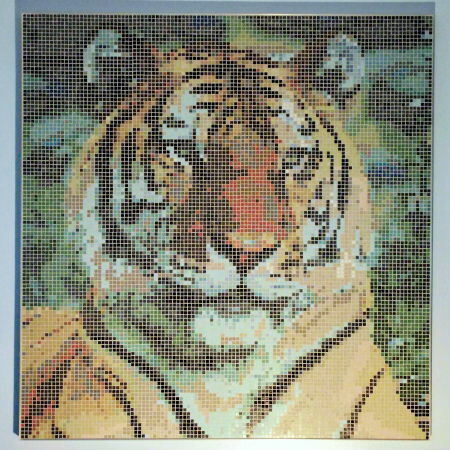 "Framed Mosaic Wall Art" mosaics are crafted onto a waterproof board, fully tiled and grouted. "Mosaic Tile Art" mosaics are supplied on mesh backed sheets ready for tiling and grouting. "Mosaic Accents" Aluminium picture framed and budget friendly, these hand-made mosaics now allow the widespread introduction of crafted mosaic art into home decor as colour accents. We have also hunted out and assembled a Mosaic Design Gallery of mosaic designs known to work well, including the designs from the shop. You can create a custom mosaic to your own sizes using one of these designs as the base source. We recently launched our new range of contemporary tile patterns in a selection of colour schemes for interior design, which can be viewed in our Mosaic Accent Gallery. Based in the UK, our mosaic designs can be shipped to Europe, USA, Canada, Australia and many other countries. We hope you have fun on our site, using our new and exciting tools to design your own mosaics. We would appreciate any comments or suggestions for further site development - please Contact Us. Please read the Guidance notes below - although time consuming, it will help you understand the process better, including how to size/prepare your images for best results so may save a lot of time later. If you Create a free Account or Sign In first, you can save a range of images and mosaic designs for future reference, and upload a wider variety of images. Visit the Mosaic Design Gallery to choose from our existing mosaic designs, or go to My Mosaic Designs or My Uploaded Images to re-use/manage ones you have already done. Click the "View" Button to see the details, or click on the "Resize" button to make a new custom size mosaic based on your selection. 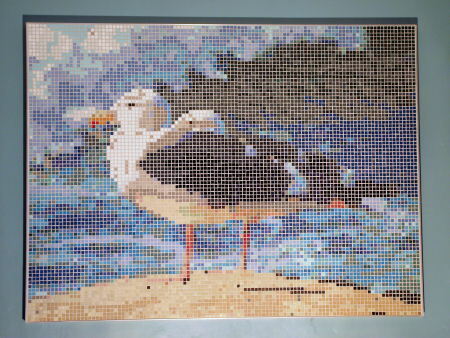 Create my Own Mosaic to upload and use your own image as the source of a mosaic. Click the "Browse" button, select your image file then click "Upload Now". Your image and other information should then be displayed, this may take some minutes depending on filesize/connection speed. You will then be asked for image/copyright information (which varies with login status and image type/source and may allow you to provide a Mosaic Title for the resulting mosaics). When you have finished providing copyright information, click the "Continue" button to make a new custom size mosaic based on your selection. By pressing this button you confirm that you or the copyright holder has granted licence to Kaamar Ltd to use the image under terms of the licence shown, and indemnify Kaamar Ltd against any legal action, by the copyright holder or others, related to use of the image. 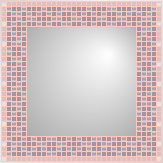 First select the desired mosaic format, then select (Framed Mosaic Wall Art sizes), or input (Mosaic Tile Art) the desired size of the mosaic in mm (for instance the size of the wall to be covered). Select tile size and grout colour then click "Show Mosaic Info" to preview the mosaic size that will be created. 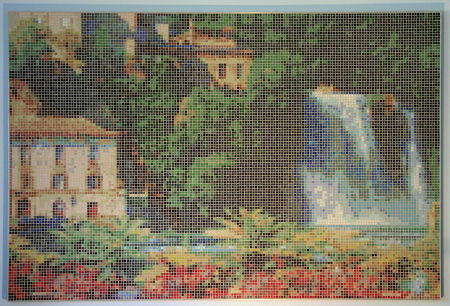 The finished Mosaic size shown includes a grout line border all round the tiles (but not the frame if Framed Mosaic Wall Art). Check the size, change the Calculation Method if required, then click "Calculate Mosaic" to make, then view your mosaic design. Alternatively, if the mosaic size is not suitable then either change the desired size and click "Update Mosaic Info" button, or go back and upload a pre-prepared image with the right proportions (see Guidance Notes below). 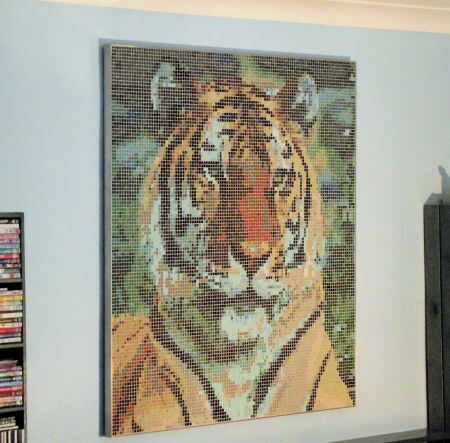 Each mosaic design will display an automatically calculated UK price for that design: when you are happy with your mosaic, if you press "Add to Basket" you will be taken to the shopping basket where you can recalculate costs for your location (also shown in your currency for many countries) based on live courier quotes. You can then continue through checkout (account required) to place your order and pay online. If you have any queries, issues or uncertainties, or just prefer a more personal approach, we have also provided an easy way to ask for a quote. When viewing the mosaic design, click the "Quote Me for this Mosaic Design" button, add any Instructions (if you want us to supply grout for instance), fill in your contact details and press the "Submit" button. If your mosaic is not quite right, then try again! To change the size, tile size or Calculation Method when viewing your mosaic, click the "Resize this Mosaic Design" button to make another new mosaic with different settings. Alternatively, try pre-preparing your image (see Guidance Notes below) and start again. If you are not confident enough at photo editing and are struggling to pre-prepare your image, or your mosaic design is not working very well despite trying different Calculation Methods and sizes, then please ask for help! The calculation methods used on this site are those we have selected to cater for the vast majority of images and tastes, but we have other calculation methods available offline which may give a better result. We can also pre-prepare the image for you including cropping, editing, colour/brightness/contrast/hue/saturation adjustment. With our creative techniques, we can often transform a dull mosaic with little detail into a vibrant, colourful one (or to match your colour scheme) with more detail. Just click 'Ask for Help!' for your mosaic, then explain in the "Additional Instructions" box what you want/are trying to do, problems you are having, etc. - fill in your contact details and press the "Submit" button. In addition to our free 'Ask for Help' service, we also offer a full design and supply service. Please Contact Us and we will provide a customised service, unique to your requirements. This may involve design consultation, site review, image sourcing/preparation or bespoke artistry, with full client liason and approval prior to manufacture. Most people will appreciate that there is a lot of labour involved in pre-assembling a mosaic so that it can be swiftly installed, but by using efficient assembly methods, our mosaics can be suprisingly affordable. We have online costing, with all library and custom designs now showing UK prices including free delivery to most of the UK, no VAT to pay. A new feature allows for an instant online price adjusted to include live delivery quotes for other countries/regions and for online ordering/payment. We have also provided an easy way to ask for a quote for any mosaic. Changing your grout colour can slightly affect the price - there is a small extra charge for non-standard grout colours. UK Prices generated for library designs to your sizes as well as those for your own mosaic designs will normally be valid for 30 days but can still vary with grout colour and delivery. If a Mosaic format is not available, the UK price will show "N/A" (not available). If a format is available but an online price cannot be generated yet, "£ POA" will be shown (Price On Application) - please request a quote. Using our own software, we can generate a mosaic design in detail, based on original photos, scans, drawings and sketches, to give an impressionistic representation of the original (subject to copyright of the original). It is not possible to generate a photo-realistic impression of the original - there just won't be enough tiles or colours available - although the bigger the mosaic, the more detail can be shown. Rather, the mosaic design will attempt to capture the essence of the original subject in "impressionism" style. You can upload a variety of common image formats, including those from digital cameras and scanners, as well as some vector formats (emf/wmf) from drawing programs. This allows you to use painting/drawing programs to make your own patterns, borders or corporate logo's. For an interesting mosaic that has something everywhere you look, try making a montage/collage of bits from your photos. You could try your holiday snaps, pictures of yourself, your family, kids or grandkids, animals, plants, buildings, landcapes, classical artwork - the list is endless. If you are an enthusiast with a particular passion, whether it be pigeons, Koi carp, trains, planes, cars, bikes, horses, dogs, cats, fishing, hunting, football, golf, sports, gardening, cooking, dolls or anything else, you can create your own custom mosaic based on that passion. Not all images can be successfully made into mosaics - a lot of the detail and subtlety of colour changes is lost. The main features of the image need to be quite bold and well defined to appear in the mosaic (try viewing your image at a distance to see what features are still visible). Many beautiful images are reliant on the sharpness of detail or the subtlety of colour changes for their attraction - many sunset scenes for example. Once the colours and details are reduced, all that is left are wide bands or blocks of individual colours. The predominant colours used by your image also affects the result - some tile colours are available in many tones (Blues/Greens/Browns) while others are more limited (Reds/Yellows). There is however no golden rule to picking a good image, as they are all different, so the first tip is simply to give it a go, make a mosaic from your image and see what happens! The second tip is to try pre-preparing your image, including cropping your image so that it just shows the main subject. Making mosaics from other people's images is a process subject to copyright law. As an ethical company, we support the rights of copyright holders and will only use images under suitable licence. If you believe your copyright has been infringed, despite our best efforts to ensure a suitable licence was available, please Contact Us with details. Anonymous users must only upload their own images (for which they are the copyright holder) and must grant us a licence for using the image. Known users, who have created and logged into their account, may also upload images with suitable copyright licences from other sources, such as from the internet. Not all internet images can be used, most are subject to copyright and are available with only limited licence conditions. To allow making of a mosaic from an image requires rights for "Commercial Use" and for "Derivative Works" without restrictions (other than an attribution). Thankfully there are numerous sites with suitable Public Domain or Creative Commons licenced images, including PD Photo.org, Photos8.com, 4 Free Photos, BurningWell.org, FreePhotos.se, many US Government departments including the US Fish & Wildlife Service and NASA, as well as Wikimedia Commons (check source/licence on each image) and Flickr (use advanced search with all three Creative Commons boxes checked). You will be asked for copyright details, which we will check before making any mosaic, so make sure you note down who/where the image came from, and the licence applicable. Other laws may also apply, such as the right to privacy. We may require other information from you such as where, and from where, a photo was taken or written permission from any identifiable person. Kaamar Ltd are the copyright owners for all mosaic designs created using this site. It is a usually a good idea to prepare your image before uploading, to get the subject and proportions right for the desired mosaic design. To crop your picture or make any other changes, you need photo editing software. You probably already have a program on your own computer that allows cropping - try right clicking on your picture file to see the available Open/Preview/Edit/Open With... options. Alternatively you can use free online photo editing software such as Picnik. You may also be able to adjust brightness/contrast, colour balance, hue, saturation etc., edit to add or remove details, or even change the colours used so that it fits with your decor colour scheme! For a good mosaic design, the mosaic should be as large as practical and the image should have bold and well defined features, so that as many tiles as possible can be used to define those features. The primary way of achieving this is to crop the image, effectively zooming in to cut out a small part of the image to use. 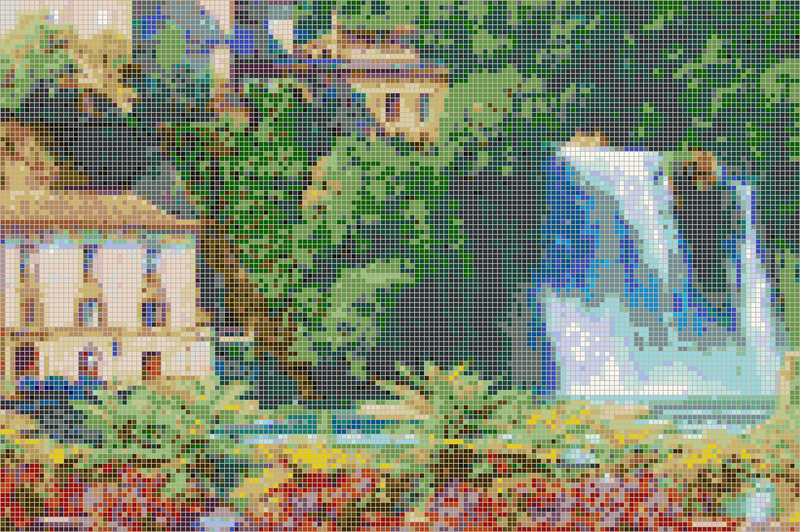 Most images will have much more resolution (pixels) than are needed to create a mosaic, so even quite small parts of an image can successfully be used for a mosaic. 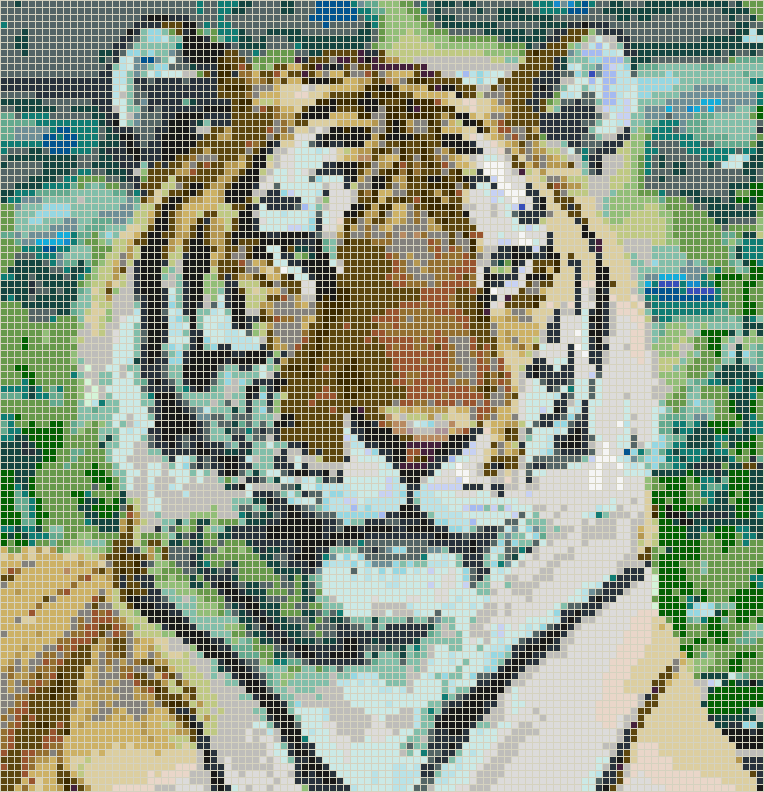 This smaller part of the image, when used for the same size mosaic, will be blown up to fit, so will have more tiles and more detail (the second benefit of a smaller image is that it will be faster to upload and make a mosaic). 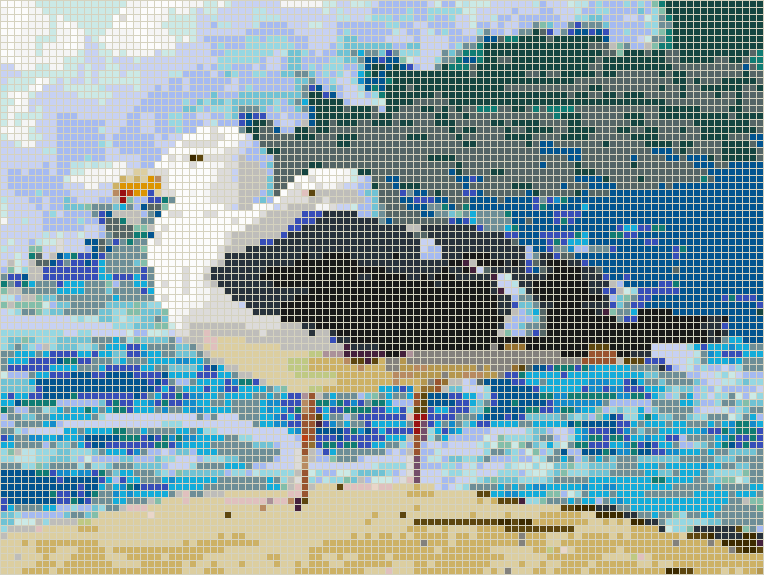 Typically this will involve zooming in to show just the person/animal/bird/plant/building/vehicle etc that is to be the main subject, losing much of the background (some backgrounds involving large areas of sky/sea/grass in the same colour do not work very well, so this may also improve the mosaic). For people/animals etc, often the best result comes from zooming in to the head and shoulders, or even just their face. When creating a custom mosaic, your can set your own maximum width and height but the resulting mosaic will have the same width/height ratio as the original source image, scaled without being stretched, so may not match both dimensions. You will be shown the resulting mosaic sizes to check before creating the mosaic. For example, say you want a mosaic to cover a 2000mm x 2300mm wall (0.8696 ratio) from a digital camera image that is 1600 x 1200 pixels (4/3 ratio). The resulting mosaic would be approx 2000mm x 1500mm, the desired width but not the full height, as the full image is scaled to fit. To cover the whole wall, the picture must be the right proportion of 0.8696, equivalent to 1043 x 1200 pixels or 1600 x 1840 pixels. Using your photo editing you could crop the picture to the smaller size, losing detail from the side(s) of the photo, before uploading. While cropping is the simplest solution, it does change the picture content and composition. With creative use of photo editing, you could keep the whole photo, but make the size up to the larger size by adding top/bottom borders with a decorative pattern, bits of other images etc. You could also try stretching/resizing the image to the right proportions, or use any combination of cropping/stretching/resizing/adding. Currently there are two tile sizes available, 10mm and 20mm, both in colourful vitreous glass, but with variations in the colours available. When creating a new mosaic design, you will be asked to select the tile size to use. The smaller 10mm tile is the default, having 4 x the tiles for a given area it provides the greatest detail in a mosaic (but at a greater cost due to the work involved). Mosaics made with 20mm tiles are cheaper for the same area, they only have a quarter of the tiles so are quicker to assemble, but the lack of detail means that they are usually only suitable for the largest mosaics. For example, a 1200mm x 1200mm design in 10mm tiles would need to be blown up to 2400mm x 2400mm in 20mm tiles to look the same. If the larger size was made in 10mm tiles it would have had 4x the detail! You should also consider the viewing distance when selecting tile size. When viewing the mosaic from a position close to the mosaic, you tend to see the individual coloured tiles rather than the overall design. To see the full effect of the mosaic design often requires the ability to step back, and view from some distance (further for the 20mm tiles). For small viewing distances (such as the walls/floors of corridors/hallways) you may not get the full image effect even with the 10mm tiles - a colourful pattern in 10mm tiles would be suggested. For average viewing distances, such as most typical rooms, the smaller 10mm tile should be used for most mosaics. 20mm tiles are larger, so should only be used where the mosaic can be viewed from some distance such as in large rooms, outdoors or in swimming pools. When creating a new mosaic design, you will be asked to select the mosaic calculation method - we have developed our own specialist algorithms/methods to optimise the selection of tile colours for a variety of image types. For most images the default method, a combination of 'Boost Colours', 'Smooth' and 'DitherPlus', will provide the quickest and best mosaic:- after all, when trying to create a bright colourful mosaic, surely the more colourful the better? However results can vary from image to image, it is also a matter of taste. We have provided alternative methods to allow you to tweak the mosaic to taste. If you would prefer to use more realistic colours (for faces etc) - use 'Optimise Colours'. 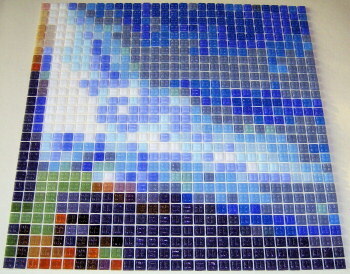 If the colours in your completed mosaic design just don't look right, even on 'Optimise Colours', try 'Limit Colours'. This tries to use the "correct" colours (but may use greys where struggling). For smoothing methods, our new 'DitherPlus' option is selected by default: where you are getting distinct bands or large blocks of the same colour, this will try to blend colours gradually using advanced dithering with minimal pattern or artifacts, giving a much smoother transition when viewed from a distance, without losing detail. This is of special benefit to faces, skies etc that would otherwise be mostly large areas of similar colours with colour banding. An alternative dithering method is also provided: our classic 'Dithered' option will try to blend colours gradually using a chequered effect. This method can give a finer grained interweave of colours, but with some loss of detail and often with a distinct chequered pattern in places. Both options also available in two different effect strengths, eg the normal strength and a 'extra' strength. Some designs will show very little difference between methods and strengths, but others will show radical differences, so it is always worth trying the other methods/strengths. Where the blending effect is not wanted, you can choose the 'No Dithering' option to create larger areas of solid colour. This may benefit very small mosaics, those to be mostly viewed from short distances or those with a lot of detail. The 'Sharpen' method makes subtle changes that increase contrast and texture, which may be more impressionistic. After selecting 'Sharpen' you will be able to choose the strength of the effect from 'min' to 'max' (the default). The maximum setting is fastest and adds most texture (more impressionistic). Lower settings can be much slower to process, while the minimum setting is the slowest and least impressionistic. Sharpen is of special benefit for trees and other vegitation, ripples on water, stonework/tiles on buildings and other such textured areas that may otherwise end up as a solid block of colour. When creating a new mosaic design, you will be asked for a grout colour. This makes no difference to the mosaic calculation, just affects the image created of the final mosaic - it can be changed later while viewing the mosaic design. Changing the grout colour can change the overall impact of a mosaic, and create interesting effects. The grout colours shown are indicative only - usually grout is not supplied with your mosaic, unless requested or the mosaic is supplied completed in "Framed Mosaic Wall Art" format.